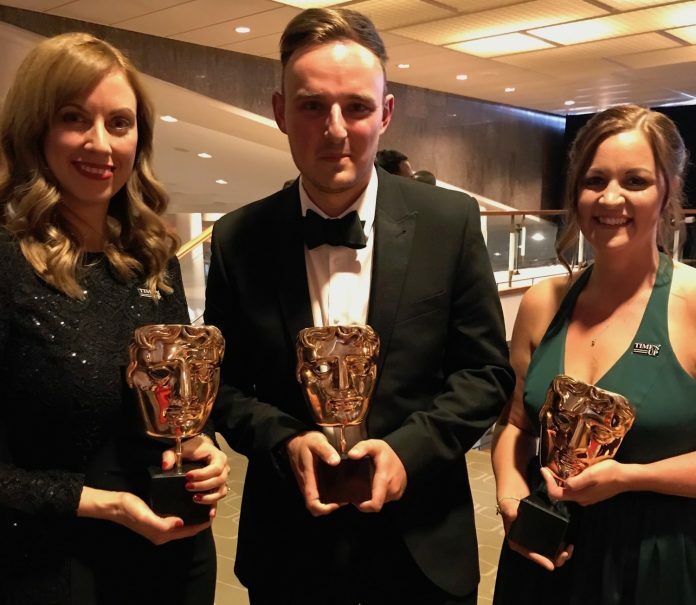 West Midlands Ambulance Service (WMAS) representatives were extremely proud – and a tiny tad stunned – when fly-on-the-wall documentary Ambulance lifted a BAFTA last night (Sunday 13th May). A few weeks into the 2nd series of the documentary to feature WMAS, representatives of the service were invited to attend the star studded ceremony in London. The programme is made by Dragonfly TV, who are masters of the genre with much-loved shows like One Born Every Minute and Inside Birmingham’s Childrens Hospital (which a certain member of the B31 Voices family may have ended up appearing on!) also in their portfolio. The programme, which was made by Dragonfly TV, and goes behind the scenes of West Midlands Ambulance Service and looks at the staff and patients who we help twenty-four hours a day. Paramedic Katie Cartwright, who featured in the very first story of the first episode when she helped to save the life of a cardiac arrest patient was at the event, along with Rich Phillips who is a controller in the Emergency Operations Centre at Brierley Hill and Claire Brown from the Trust’s Press Office which co-ordinates the filming from a Trust perspective. Anthony Marsh, Trust Chief Executive, said: “This is a fantastic achievement not just for those who have featured in the programmes but for all of our staff. What this programme shows is just how much effort our staff put into the job, wherever they work in the organisation. Next article[VIDEO] Are you ready for Northfield’s Aqua Challenge?